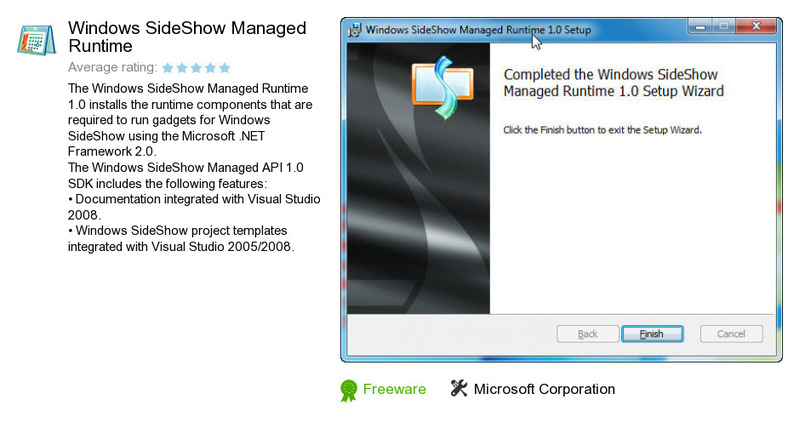 Windows SideShow Managed Runtime is an application developed by Microsoft Corporation. We know of version 1.0. Version 1.0.1 is available for free download at our site. Windows SideShow Managed Runtime installation package has a size of 900,914 bytes. Microsoft Corporation also publishes Microsoft Enterprise Desktop Virtualization and LifeCam Video Messages gadget.